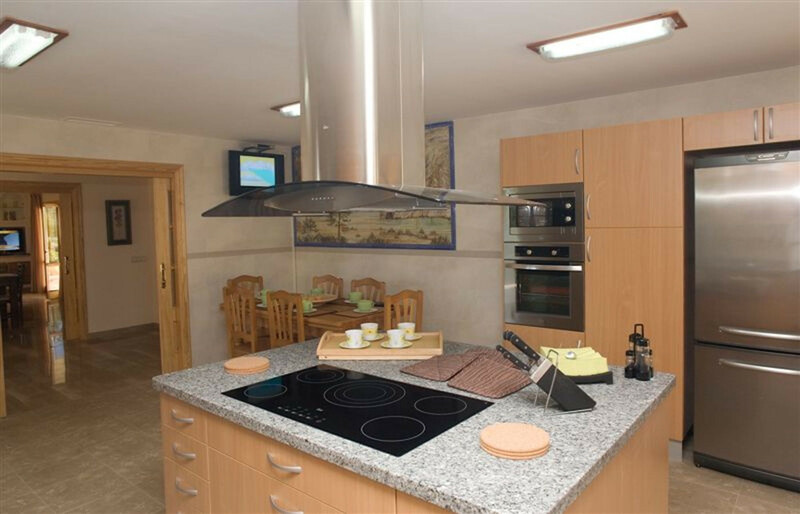 Modern 2-storey house located in a residential complex in Crestatx, between Sa Pobla and Pollença. It has mountains views, and up to 10 people can sleep in it. The exteriors of the house are fantastic. You can enjoy tswimming pool with a depth ranging from 1m to 2.40m. The private garden has a surface of 500m2. 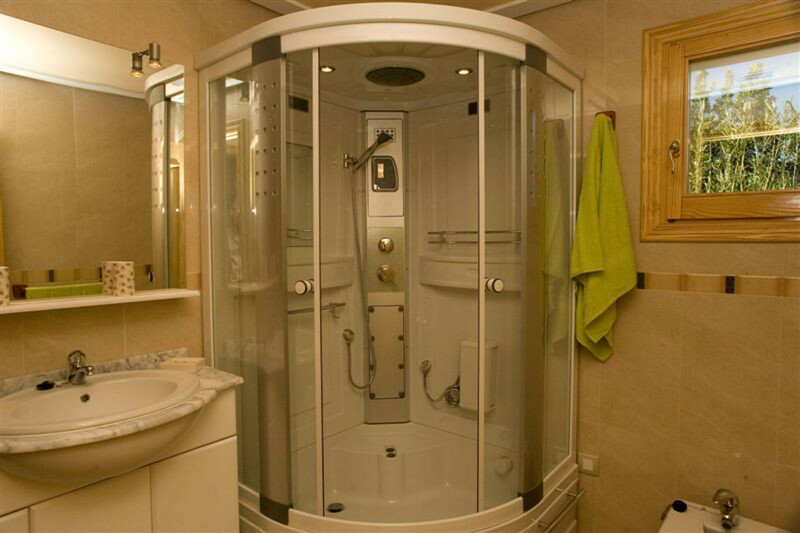 There is 1 outdoor shower, as well as 10 sunbeds. The 16x3,2m furnished porch is the place to share unforgettable after-eating talks with family and friends. 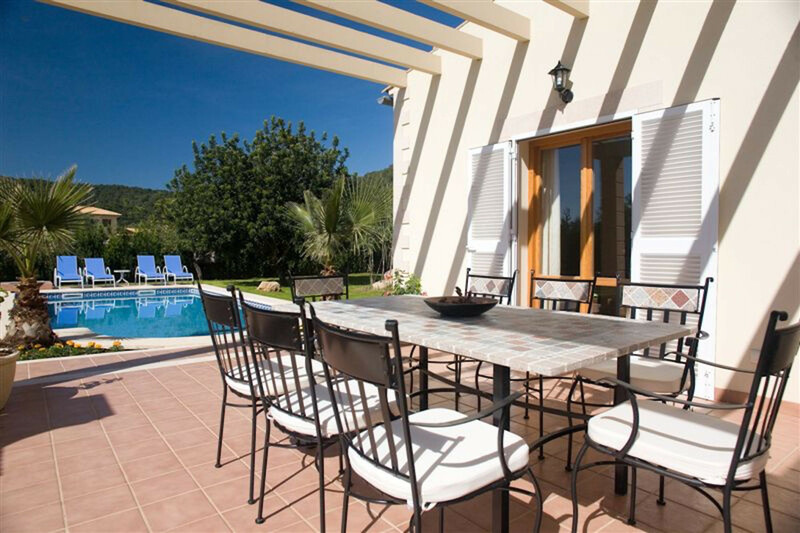 There is also 1 35m2 terrace located in the pool area. In one side of the porch there is 1 fixed barbecue where you can dazzle your guests with delicious dishes cooked outdoors. 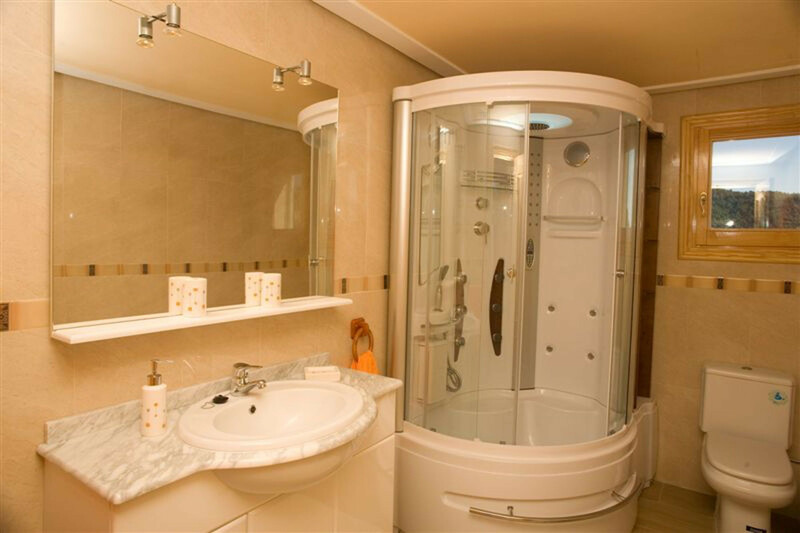 The privacy of the property is partial and there are 2 outdoor and 1 indoor parking spaces. 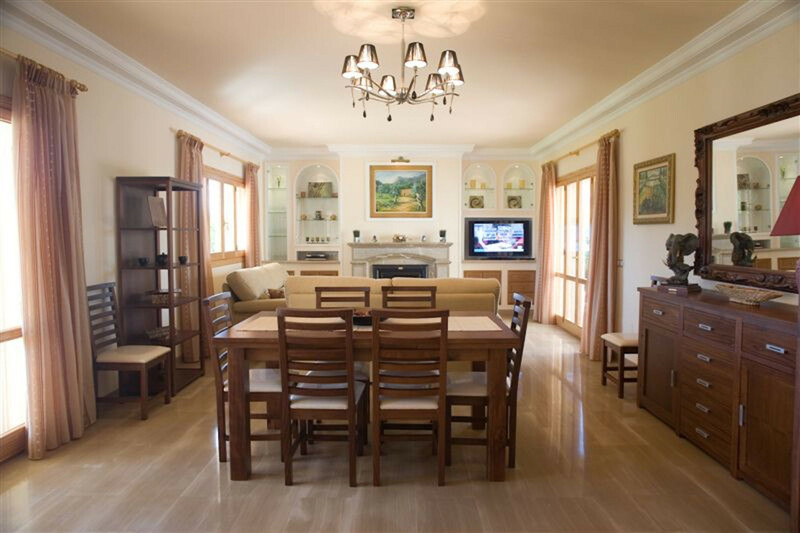 In this property, the air-conditioned living room with fireplace and the furnished dining room are in the same area. 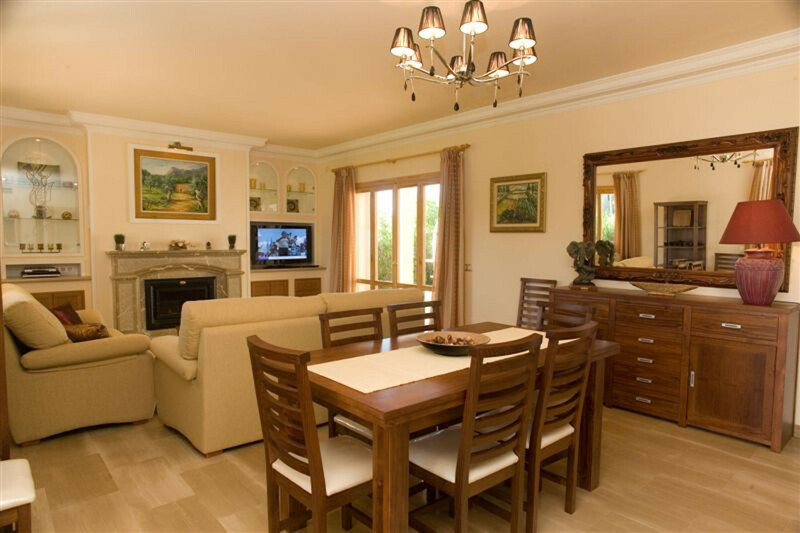 The living room is the perfect place to disconnect watching satellite TV or a DVD movie. In the dining room you can enjoy unforgettable moments with your loved ones. 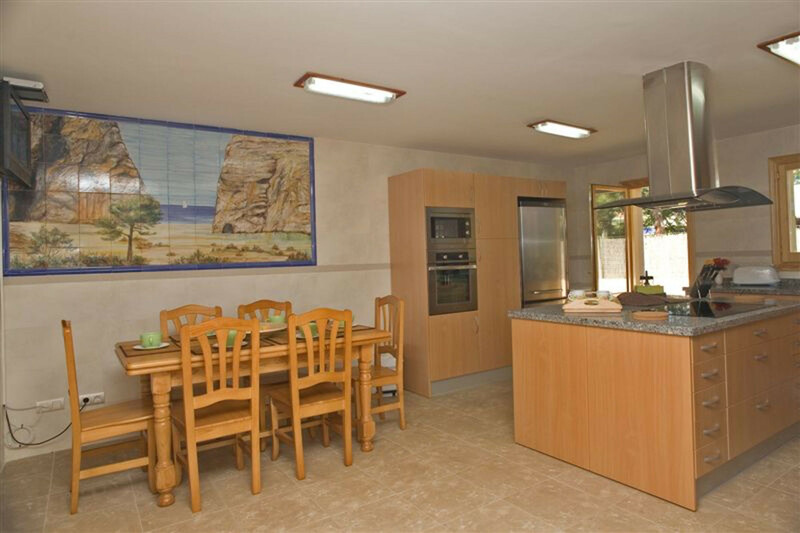 The property’s modern kitchen is great because it has everything you need to prepare any recipe you intend to, including electric stove; in this area you will find a large island and it also has direct access to the garden. On the property there is 1 washing machine, 1 dryer, and 1 ironing board. 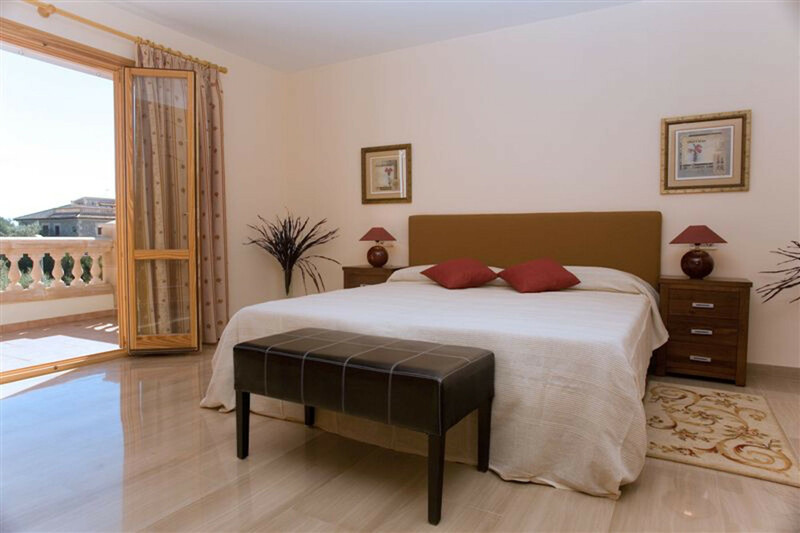 You have access to 5 bedrooms, 3 located on the ground floor (2 with 1 double bed and 1 with 2 single beds) and 2 on the first floor (1 with 1 double bed and 1 with 2 single beds). 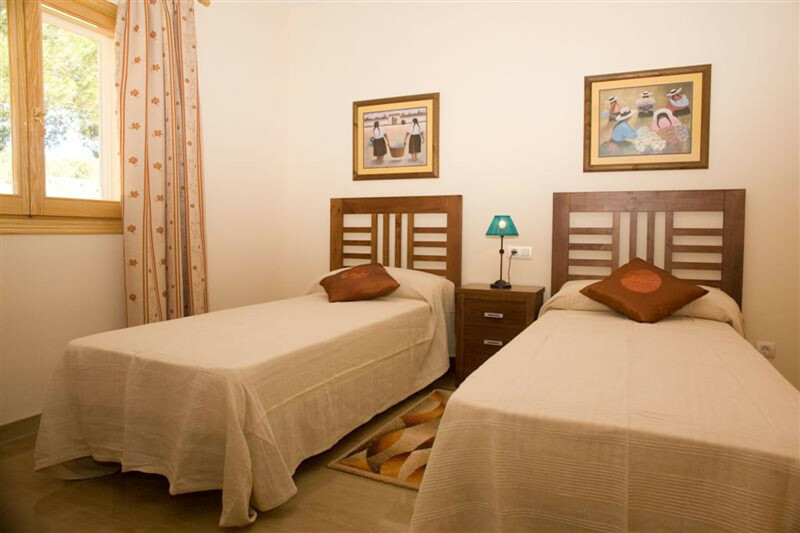 All 5 bedrooms have wardrobes and air conditioning. There are a total of 4 bathrooms in the house, 2 on the ground floor, and 2 on the first floor. 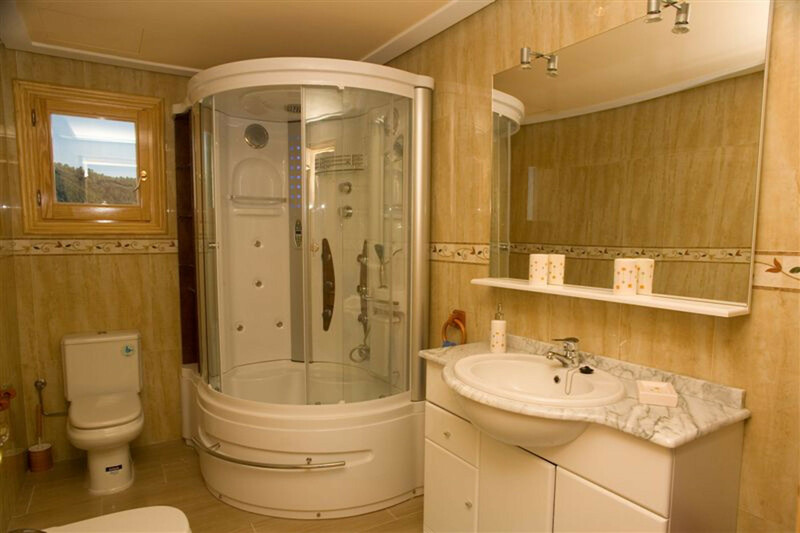 All bathrooms have a shower, and 2 of them are in suite. This property has air conditioning / heating throughout the property and 1 crib for the little ones in case you need it. 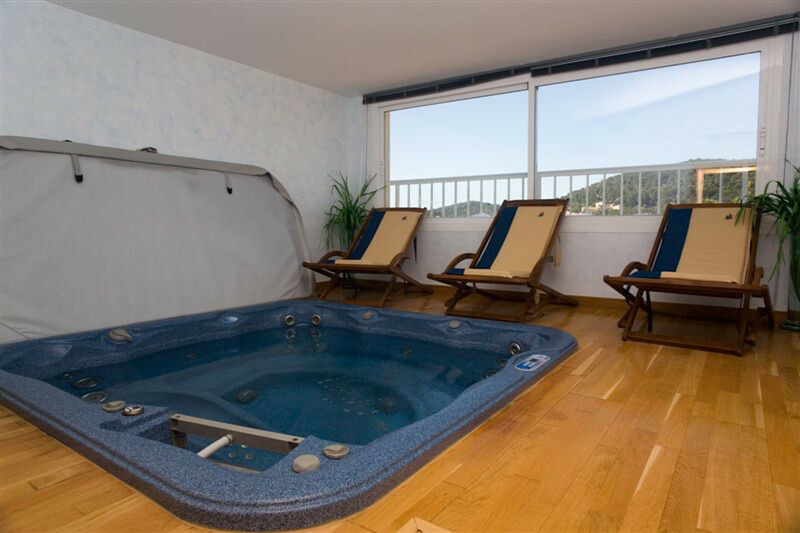 One of the special features of this property, which will allow you to relax and unwind from the daily routine, is the indoor hot tub located in a room on the first floor. 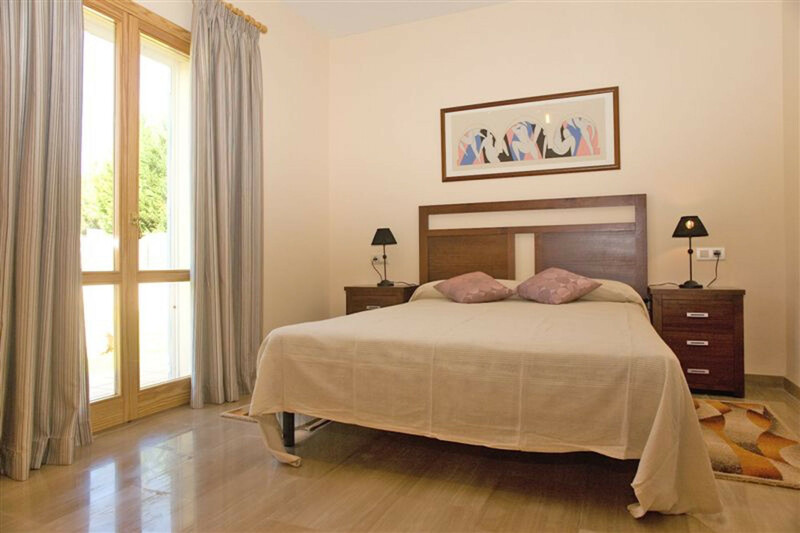 The residential complex is just 4.5 km from Sa Pobla, where you can find everything you might need during your vacation. The town of Pollença is also nearby (10.6km), and it is a lovely town worth visiting where you will enjoy its cobbled streets and all the shops there. The air conditioning use is charged separately (the owner has an individual meter).